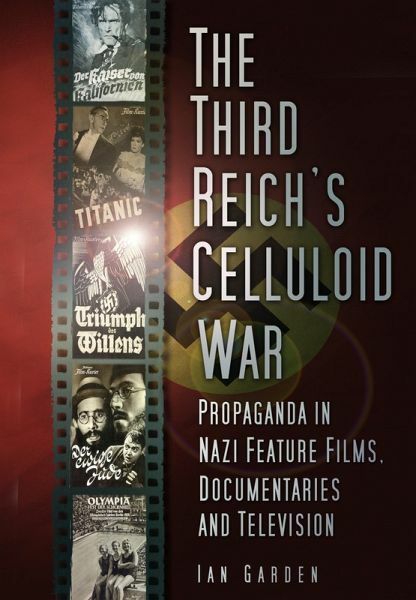 This book exposes the myths surrounding the propaganda films produced during the Third Reich. One, that the Nazis were infallible masters in the use of film propaganda. Two, that everything the Nazis said was a lie. Three, that only the Riefenstahl documentaries are significant to the modern viewer. It reveals the truth, lies, successes and failures of key films designed to arouse hostility against the Nazis’ enemies, including Ohm Krüger - the most anti-British film ever produced; their 1943 anti-capitalist version of Titanic; anti-English films about Ireland and Scotland; and anti-American films like The Emperor of California and The Prodigal Son. Including an objective analysis of all the key films produced by the Nazi regime and a wealth of film stills, Ian C. Garden takes the reader on a journey through the Nazi propaganda machine. In today’s turbulent world the book serves as a poignant reminder of the levels to which powerful regimes will stoop to achieve power and control.